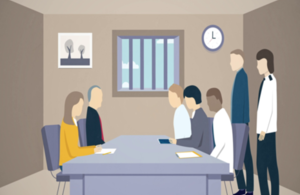 "A Victim's guide to parole", a new video to help victims of crime understand what to expect during the parole process, has been released by the Parole Board and the Victims' Commissioner. A new video to help victims of crime understand what to expect during the parole process has been released by the Parole Board. “A Victim’s guide to parole” shows the different stages of parole from a victim’s point of view — from being told a parole review has started, to receiving a summary of the final decision. This is part of the Board’s wider commitment to make the parole process clearer for victims and the public. It was made in partnership with the Victims’ Commissioner and professionals who support victims during the parole process. I know from personal experience that, for these victims, the notification of a Parole Board hearing can be distressing. The prospect of their offender being released or moving to open prison can be difficult to come to terms with. And drafting their victim personal statement can retrigger pain and sorrow. More and more victims are choosing to read their statement to the Parole Board panel. This takes great courage and, as I know only too well, sitting in front of a panel is daunting. For these reasons, I was keen to ‘voice’ the Parole Board’s new video – A Victim’s guide to parole. It gives valuable insight into what happens, how victims can be involved and what to expect. I encourage victims to take a look - anything that explains parole clearly, is a positive step, providing some reassurance and helping victim to understand the next stage in their criminal justice journey.